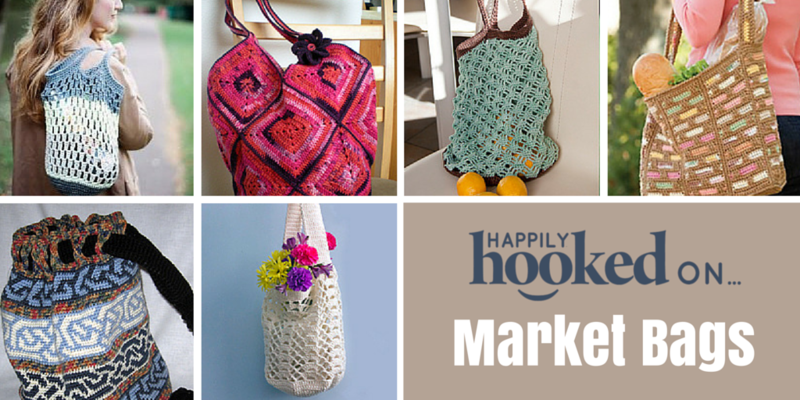 In April’s Issue of Happily Hooked Magazine, we focused on eco-friendly patterns and yarns, and published two patterns for market tote bags. Here on the blog, we learned about different types of eco-friendly yarns, and shared with you some of our favorite organic, recycled, and alternative fiber yarns as well. Have you used any eco-friendly yarns? We’d love to hear about it in the comments below. One way we can be ecologically conscious is to use our own grocery bags when we shop. But why use store-bought, when we’re going to give you yet another reason to crochet?! 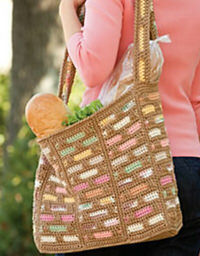 We’ve rounded a few great patterns for shopping totes for you to create and use! Our very own Salena Baca created this fantastic market tote for shopping at her local Farmer’s Market. This easy bag can be used for projects on-the-go, kids, the beach, or lunch. It makes the perfect gift! 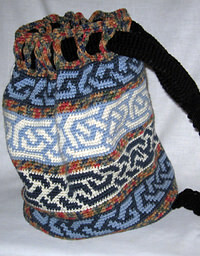 And, with three patterns included in this purchase, you can make a bag for any occasion! Get this Pattern Here. This adorable bag is made up of joined squares and provides a sturdy yet stylish alternative to plastic market bags. Self-striping yarn would make a brightly colorful tote for just about any use. What a perfect excuse to try out some alternative fiber yarns! Get this Free Pattern Here. One more reason to love chocolate and mint! With a sophisticated diamond pattern, this bag will make your groceries look good! 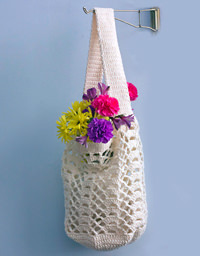 A free, easy pattern to follow, this openwork market bag will work up in a jiffy! Get this Free Pattern Here. Want a totally different look for your groceries? 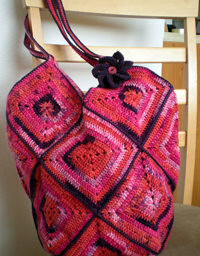 Check out this tapestry crochet bag by Suzanne Pennel. This thick, sturdy bag won’t stretch or break, and the design on the bottom is pure loveliness! This pattern includes a combination of graphs and stitch instructions. Get this Pattern Here. This open work bag can fold up compactly, but stretches to carry lots of groceries. A strong, pretty bag, with reinforced straps, it can be used as a tote, a baby bag, or something to carry your books and electronics! Get this Pattern Here. 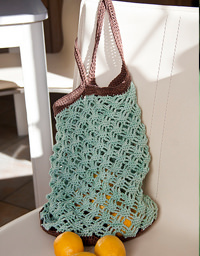 What better way to use up your scraps than this fantastic market bag? This roomy tote is market-ready in a flash, and looks good on the go! Get this Free Pattern Here. What bags have you made? Let us know in the comments!